See The Most Recently Listed Properties! Over a decade as the most experienced Real Estate company in Surprise, Arizona. Our local knowledge is one of the reasons we are the leading real estate company in Surprise, Arizona. An experienced & local real estate expert will make all the difference. When you are buying or selling a house, communication is vital. We go above and beyond to make sure there is never a lack in communication - EVER. We take a proactive approach so that we are first to know about homes that come on the market. Our experience gets our homebuyers in before all others. We understand that every saved penny counts for our customers. We work hard to make sure you get the best deal possible when buying or selling a home. 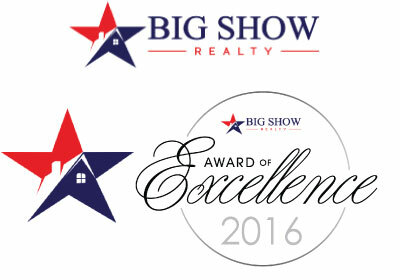 Whether you're buying or selling a home, you will benefit from Big Show Realty. Our experienced and local knowledge allows us to become aware of Surprise homes for sale and other properties before others. Check out the latest homes for sale in Surprise AZ to hit the market. See the latest homes for sale! BIG SHOW Realty in Surprise AZ has extensive knowledge and are local experts of the 10th largest city in Arizona that was founded in 1938 which covers 105 square miles at an elevation of 1,175 feet - now that was a mouth full! Last year there were 3,383 properties that sold here. The city is growing exponentially and some reason for this is a great school system, new Spring training for MLB (Major League Baseball) additions, and outstanding golf & and recreation facilities! Put our experience to work when it comes to buying or selling a home. It will make a difference - we guarantee it! Get listings before they hit the market! Game changer! If you're looking to sell your house, below are a few inexpensive things that you could do to easily increase the sales price before selling. A simple home improvement job and add tremendous value to your home. Look no further than the Holtzman Remodeling Contractors in Phoenix AZ for outstanding quality at a great price. They'll come to Surprise to help! In most housing markets, a great investment is springing for a kitchen remodel. When you invest in kitchen remodeling, you will most likely see a return of more than 100 percent of the cost. Appeal to the masses and boost your home’s value by remodeling your bathroom. A simple bathroom remodeling project can do this very thing. Try to take advantage of this if you can. A home that stays cool with Sunscreens and keeps energy costs is a huge selling factor. Check out these amazing and affordable sunscreens to help keep your home cool. When it comes to tile, it can make or break a home sale or purchase. Take the additional steps to make sure your tile flooring is in top shape. Visit one of the top tile stores for affordable tile. The last thing you want before selling your home is to have electrical issues during inspection. Getting a qualified experienced electrician to come out before hand could save you in the long run. If you don't have one, go see this electrician ASAP. Carpets are one of the fist things to replace when selling your home that will provide tremendous value. If you don't want to replace them, then at least get them cleaned - see this carpet cleaner for those projects. Look to add a hot tub or spa. This might be a larger project, but it will definitely increase the sales value of your home. Check out these hot tubs for the latest models - and make sure to see these pool builders for install details. Get Listings Before They Hit The Market! Let us send you properties for sale before they even go to market - game changer! Yes, I want them sent to me!